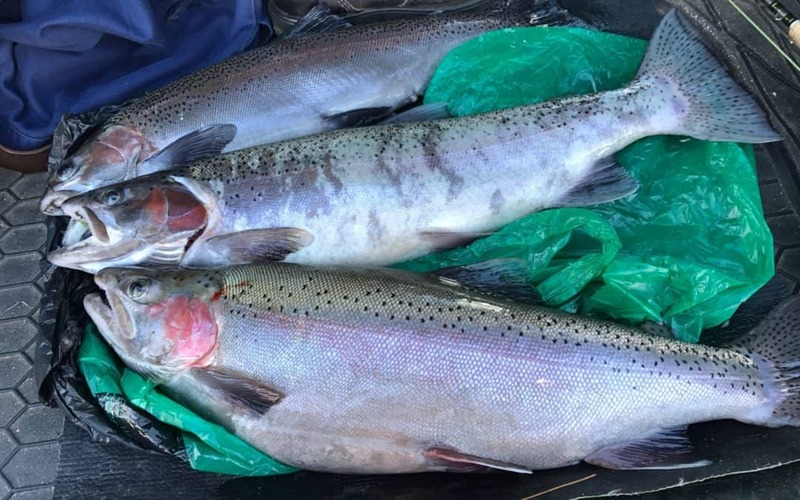 Today Monday the Tongariro river level at 37 cumecs, after Saturdays 280 cumec flush, as predicted the week has certainly started well, with most anglers catching some beautiful fish. In fact all eastern side rivers are literally going off, I think we can say this winters fishing the best in many years in terms of fish quality. Get out there and enjoy the awesome fishing in these great rivers, 10lb fluro and nylon the norm it seems ?